Videos are matched perfectly without your input. 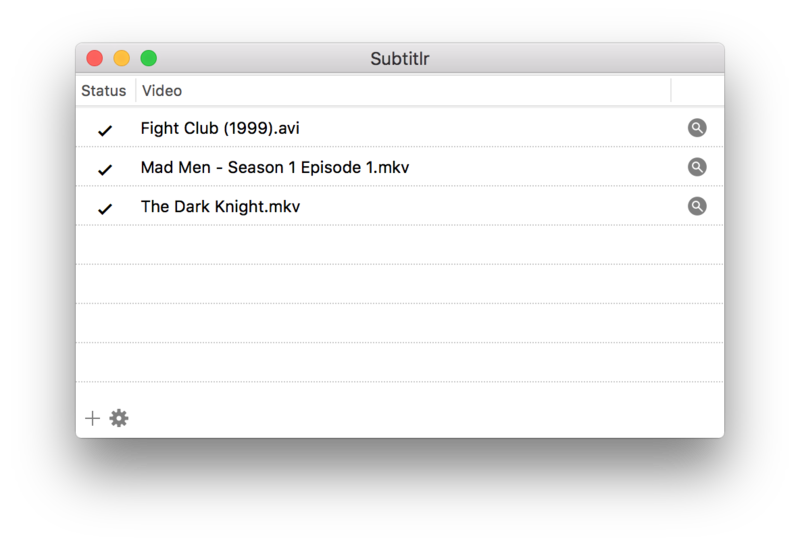 Just drag and drop your video files and let Subtitlr do the work. It's that easy. It's the quickest way to get subtitles on OS X. Don't stop at movies. Subtitlr works just as well with your favourite TV shows. Nearly 70 subtitle languages supported.